Costa Rica Islands - Is Costa Rica an Island? Is Costa Rica an Island? You might think this is a weird question if you have visited Costa Rica before, but it is one that is regularly asked. Well the answer to the question “Is Costa Rica an Island?” is a big NO. Costa Rica is not an island. Costa Rica is part of Central America and is bordering Nicaragua on the north and Panama on the south. What Costa Rica does have, though, are several interesting, uninhabited islands for you to visit and explore, each with its own unique features. Let us tell you more about them! If you are looking for an adventure and not the kind you find in a Jurassic park, then you certainly are in the right place. Believe it or not, Costa Rica islands don’t have dinosaurs, but they do have an endless array of other plants and wildlife. Calling all snorkeling and scuba diving enthusiasts! This is the underwater paradise for you to explore. Located off the Coast of the Osa Peninsula roughly 15 kilometers out to sea where the rock formations and reef hide many marine species. Additionally, you can explore the sunken ships which are the best location to spot the white tip shark. Turtle Island is located off the coast of the Nicoya Peninsula and is a great destination for relaxing at the beach and soaking up some sun. Here too visitors can take snorkeling and scuba diving tours but you are also free to explore the stunning island itself in a Tortuga Island Tour. Hike through the forest and to the summit for fantastic views or take a canopy tour. Cocos Island Costa Rica is by far the most secluded island of Costa Rica and the marine wildlife to be spotted here is more varied than other location in the country. the only inhabitants are the park rangers protecting this beautiful national park. Situated 550 kilometers away from Pacific shores, a 36 hour trip by boat will take you to this stunning gem. Visiting Isla del Coco itself is restricted due to its highly protected nature, but this is the ultimate destination for the serious scuba diver! Keep in mind that a diving tour can take up to 10 days and that the price can range around 6000 USD. Spot sharks, whales, dolphins, moray eels, turtles, manta rays, and many more. For the last couple of years bull sharks have been returning to Isla del Coco and even though attacks are very rare, caution is recommended. Not for newbies! For something completely different, you can explore the vast mangrove ecosystem of Damas close to Quepos in the Central Pacific. The mangrove boat tours will introduce you the conservation projects that are active in the area and will get a chance to spot many bird species such as herons, kingfishers and frigate birds. Most of the islands are scattered throughout the Pacific side but some do exist on the Caribbean side as well. Two of these islands are part of the Tortuguero region. One being Isla Calero and the other Isla Brava. You certainly won’t think they are islands by looking at a map as the only thing separating them from Costa Rica are the River Canals. The other little piece of land on the Caribbean side is Uvita Island. It is located directly in front of Limon and is rather small only 0.8 kilometers long. The last two islands are Isla de Chira and Isla San Lucas. Isla de Chira is located in the upper part of the Nicoya Peninsula. 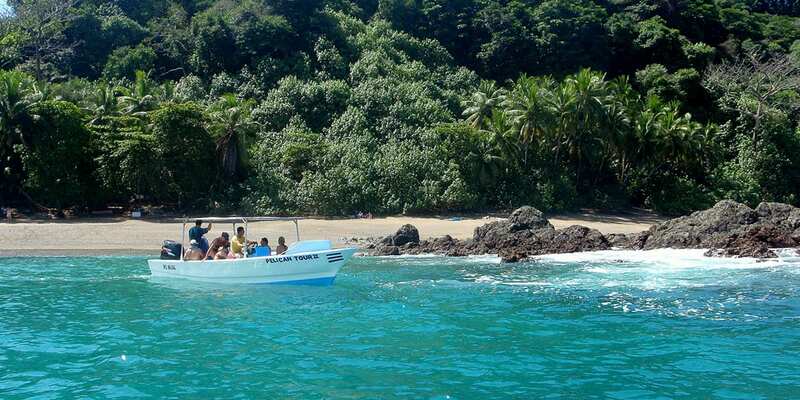 Isla San Lucas located right in the Gulf of the Nicoya, Puntarenas, and has a fascinating story to tell. It used to serve as one of Costa Rica’s prisons very similar to that of Alcatraz. Pay a visit!